Every trip out with children is a new adventure. 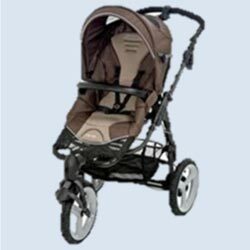 Whether tackling the road less travelled or negotiating bumpy streets, the Baby Comfort High Trek rides over, around and through everything with ease, comfort and in complete safety. 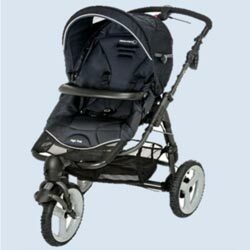 The ultra-padded seat, high-performance suspension and inflatable tyres help soak up every surface, while the forward and rearward-facing seat fully reclines, so a child is always in the perfect position. Control over the speed and direction couldn't be easier with the progressive braking leaver in the middle of the handle, so even the forest tracks can be tackled in safety.